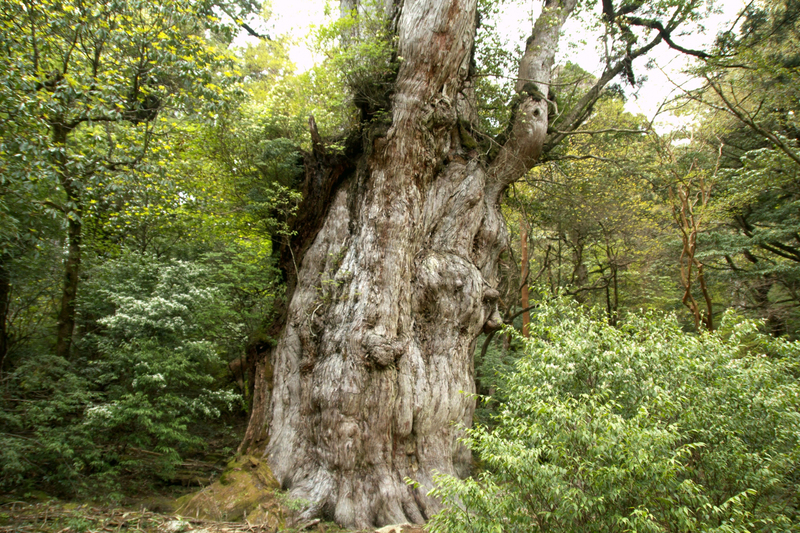 Kunugi is not a native tree for our Afan woodland, but it is a very common tree in other parts of Japan. Kunugi is also native to China, Korea, Tibet, Indochina and the Himalayas. The acorns are round and fat, with distinctive bristly cups, like little fuzzy hats. 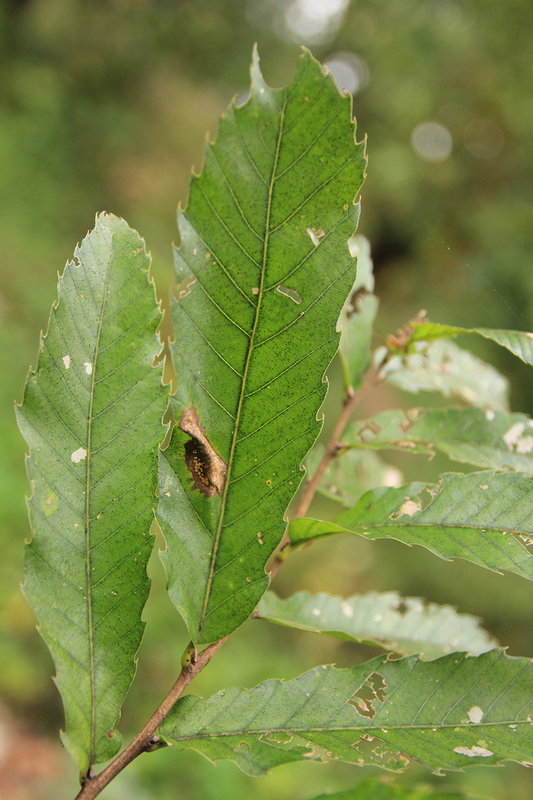 The leaves are narrow, with sawtooth edges. It grows very quickly and produces bumper crops of acorns. For this reason kunugi were planted in the USA, for wildlife and for timber. However, although jays will eat the acorns, squirrels and bears prefer other acorns because kunugi acorns are extremely bitter. The wood is very hard and has an attractive grain, however it is also brittle and tends to crack under pressure. Because of this sawtooth oak wood is not preferred for construction or woodwork. In the USA it is mostly used for fencing. 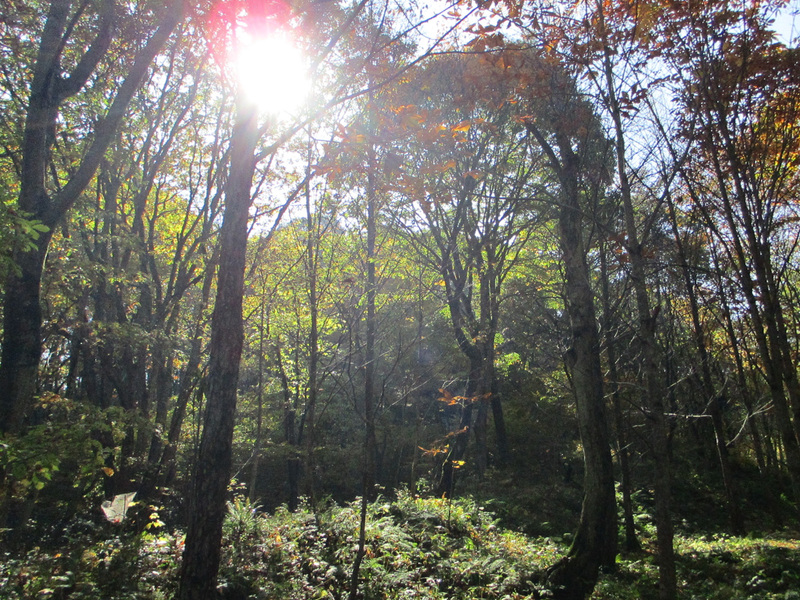 I donated the core of the Afan Woodland Trust land in order to create the trust in 2002. Prior to that our now retired forester Mr. Matsuki and I talked about all kinds of trees and about what might happen in fifty years or so if climate change should alter the nature of woodland here in snow country. 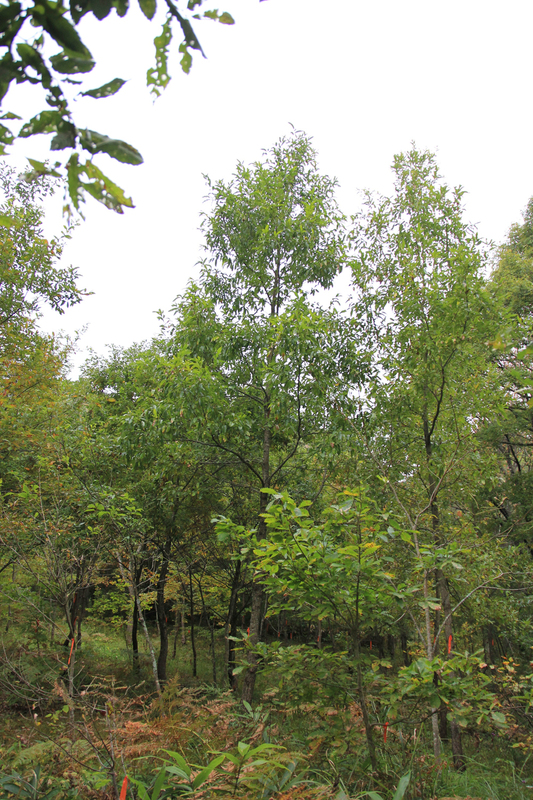 We have basically two native oak trees in Afan, konara and mizunara. We decided to plant kunugi in a designated area to see if it would survive and to have it as a potential acorn-bearing tree should warming of the climate make it difficult for our native oaks. Since we became a trust the experts would argue against non-native (even if they are Japanese) trees, so I’m glad we did it when I made the final decisions. The kunugi we planted were reduced at first by mice gnawing on the roots during winter. Some trees survived, but they do not thrive. However, you can see small kunugi trees in our wood if you know what to look for. Perhaps in fifty years or more a few of them will grow into big, acorn-bearing trees. If they become a problem, (as they have in America because they compete with native trees), then in Afan we will always have a demand for firewood. As for climate change, we have seen a decrease in the total snowfall, and it seems that the rainy season ends earlier than before.